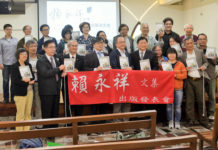 On June 19, a seminar named “Christian Faith And Social Survey In Taiwan” was hosted by Chi-nan Presbyterian Church of Chi-sin presbytery and co-operated with Research and Development Center of PCT’s General Assembly Office. Two famous PCT laity leaders, Prof Su Kuo-hsien(Dean of NTU’s College of Social Sciences) and Ms Lu Yueh-wen(Vice President of World Communion of Reformed Churches) and one renown PCT pastor(Rev. Lu Jun-yee) were invited to address the issue about Christian’s social responsibility. Prof Su Kuo-hsien affirmed the church’s critical function in promoting social fairness and justice in modern society, but he also insisted the necessary condition of the church’s acceptance of diversity and heterogeneity in advance was equally important. According to some pew surveys of Taiwan churches in the past year, Prof Su was quite wary about the phenomenon of homogeneity within the churches. For example, the concern of church growth became a major issue within churches yet without an objective basis to measure its outcome and impact. A pew survey within Taiwan churches became very subjective and its results depended on whom were interviewed. Making some comparisons with some current missionary-orientated Christian denominations, Rev Lu reminded the audience about the Catholics’ careful avoidance of utilizing evangelical terms when social resources were introduced to help the needy. It also prompted Rev Lu to ask himself the question: what is the meaning for church to exist in our society? “Jesus loves us, he also loves you”, Rev Lu indicated that this was social identity of the church. 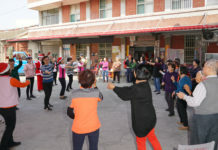 As church without social identity would lose her significant meaning to exist, engaging in the ministry for social communities was a necessary mission of the church, remarked Rev Lu. During the seminar, the issue of youth ministry was also highly focused. Ms Lu Yueh-wen pointed out, though it was common for churches to recognize membership mutually across denominations in US and Canada, the identity-border between Taiwan’s denominations became more and more distinct. 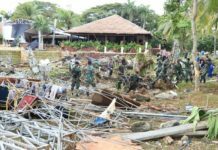 It was very likely due to the stances toward some specific issues, like gender or sexual orientation, were easily driven into an opposing debate and even stand-off in Taiwan churches. Ms Lu eloquently criticized some PCT pastors’ harassment to stop financial donation to the magazine of The New Messenger if they dared keep publishing discussions or debates on some contentious topics like LGBT rights in the church. “Couldn’t we tolerate different voices in the church afterwards?”, “When was our church became so fascist and so coward?”, protested Ms Lu. Rev Ng Tiat-gan, director of Research and Development Center of PCT’s General Assembly Office, concluded that this particular seminar was designed to be a reference point for Christians’ social practice. The audience were not only expected to be touched by the speakers’ revealing analysis but also be inspired to act as the disciples of Jesus’ mission. Prof Su Kuo-hsien(second from right, Dean of NTU’s College of Social Sciences) and Ms Lu Yueh-wen(first from left, Vice President of World Communion of Reformed Churches) and Rev. Lu Jun-yee (second from left, the renown former pastor of Taipei East Gate Presbyterian Church) were invited to address the issue about Christian’s social responsibility at a June 19 seminar named “Christian Faith And Social Survey In Taiwan”, which was hosted by Chi-nan Presbyterian Church of Chi-sin presbytery and co-operated with Research and Development Center of PCT’s General Assembly Office. Rev Ng Tiat-gan ( first from right, director of Research and Development Center of PCT’s General Assembly Office) acted as the host of the seminar.